The phrase ‘Blue Moon’ has nothing to do with the color of the moon. The term is used to describe a second full moon during the same month. This ‘Blue Moon’ will turn red, which is what happens when there’s a total lunar eclipse. This is a rare astronomical event: the last Blue Moon total eclipse was in 1866 and the next one will be in 2028. Enhancing the phenomenon will be the fact this is also a Supermoon, where the moon is as close to the Earth as it gets. The next time all of the same elements come together will be in 2037. 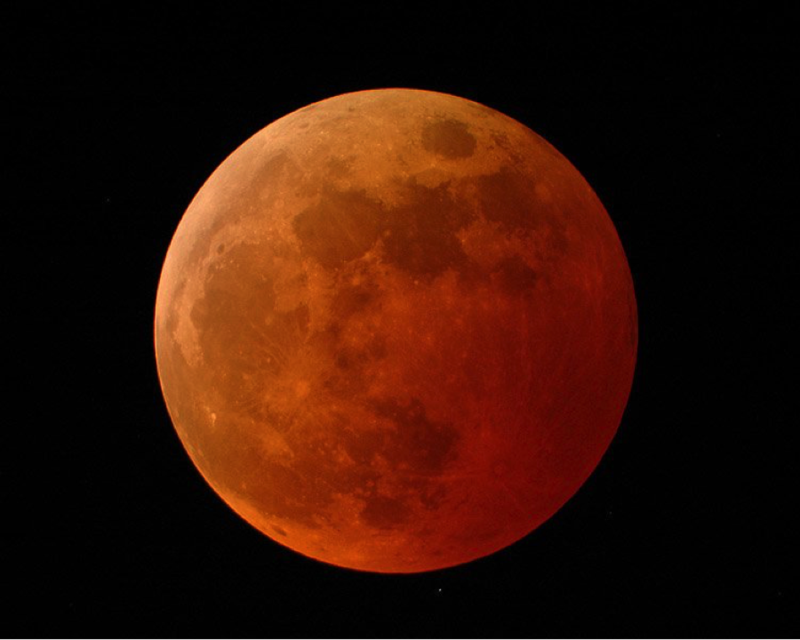 The New Mexico Museum of Natural History & Science, The Albuquerque Astronomical Society, and Rio Rancho Astronomical Society will provide telescopes on the museum observatory deck to view this astronomical trifecta coincidence on the morning of the 31st before sunrise. Informational posters and handouts will explain the terms Supermoon, Blue Moon, what causes eclipses, and why eclipses make the moon turn red. Visitors who come to the museum from now through January 31 can see a series of brief videos explaining eclipses, Blue Moons, and Supermoons showing on a temporary monitor in the Space Science exhibit gallery. This will provide information to understand and enjoy the eclipse for those who will watch on their own. In that case, make sure you have an unobstructed view of the western sky since the best part of the eclipse starts while the moon is setting. Partial Eclipse Begins – 4:48 a.m.
Total Eclipse Begins – 5:52 a.m. Maximum Eclipse – 6:30 a.m.
Total Eclipse Ends – 7:07 a.m.
Totality ends at almost the same moment the moon sets, but that time will vary according to the terrain on western horizon from your location. This event will be canceled if the sky is cloudy. No reservations are required and admission is by donation. Feel free to come with bed hair and in your pajamas (assuming you don’t mind being seen in public that way)! Check the weather and dress appropriately for being outside in the cold.